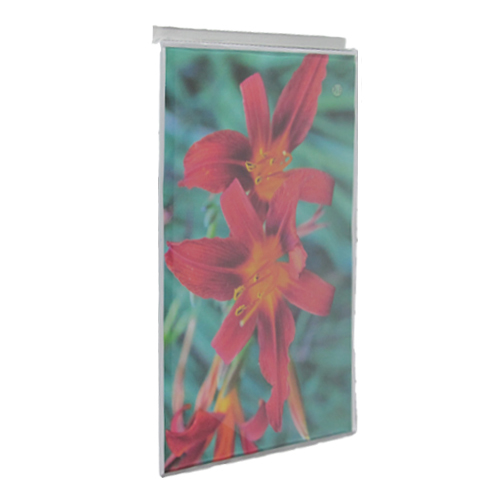 *Double-sided poster holders fabricated from clear acrylic. Made with hooks to hang over a 25mm diameter bar or pole. Hooks are off-set for back-to-back use where required. 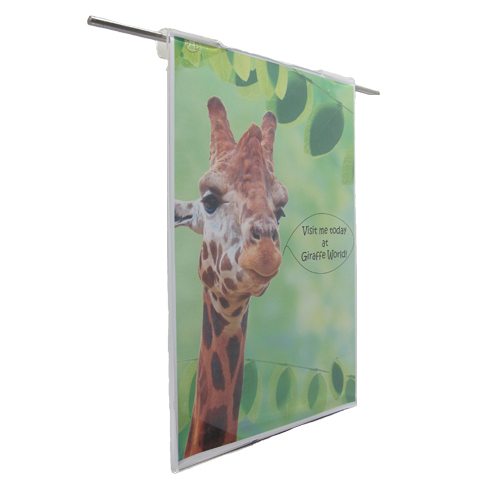 Hook-on poster holders (pockets) for 25mm bars are double-sided. The bars obviously cover 25mm at the top and the bottom of the poster at the back of the display. For most uses, this is usually acceptable, but the holders are made with offset hooks so that they can be used back-to-back if required. We fabricate our hook-over pockets for 25mm rungs from 2-3mm clear acrylic, depending on size (up to and including A3 sizes are made in 2mm acrylic, A2 and larger in 3mm acrylic). 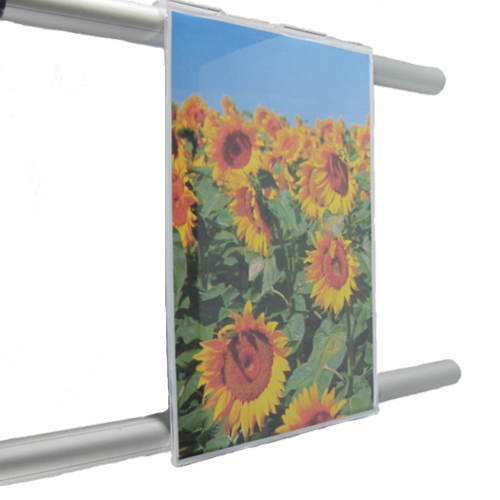 They are ideal for use with our free standing, wall mount and suspended 'ladder' displays.